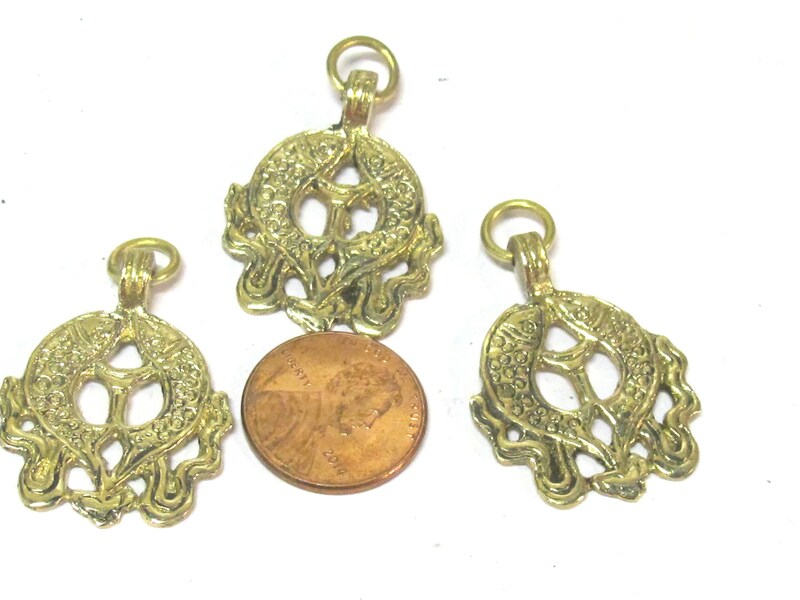 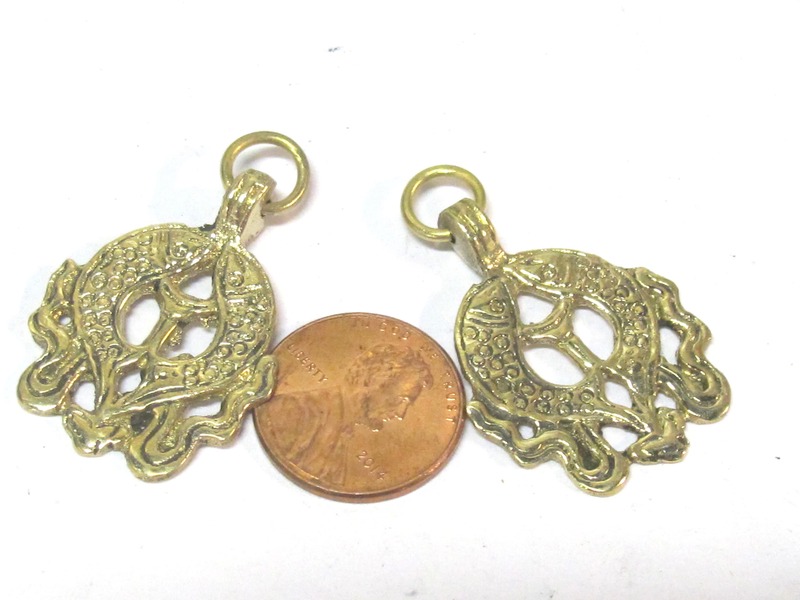 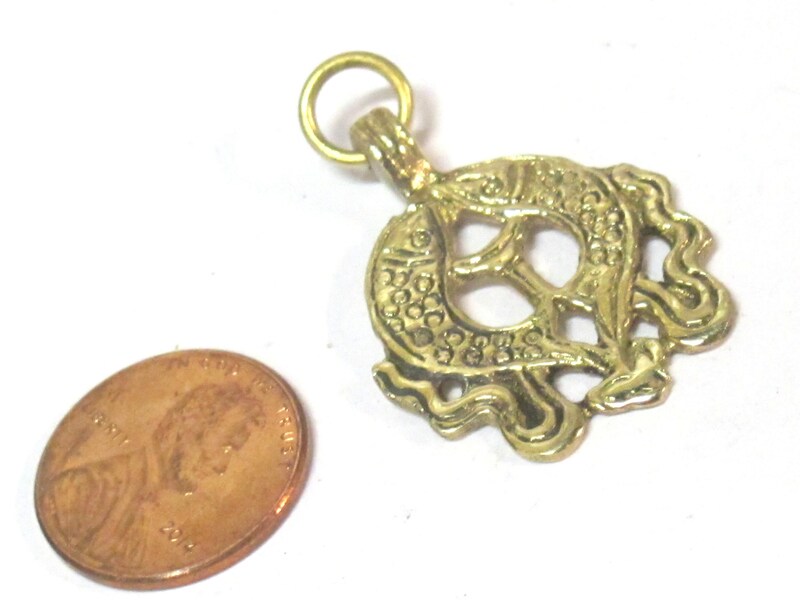 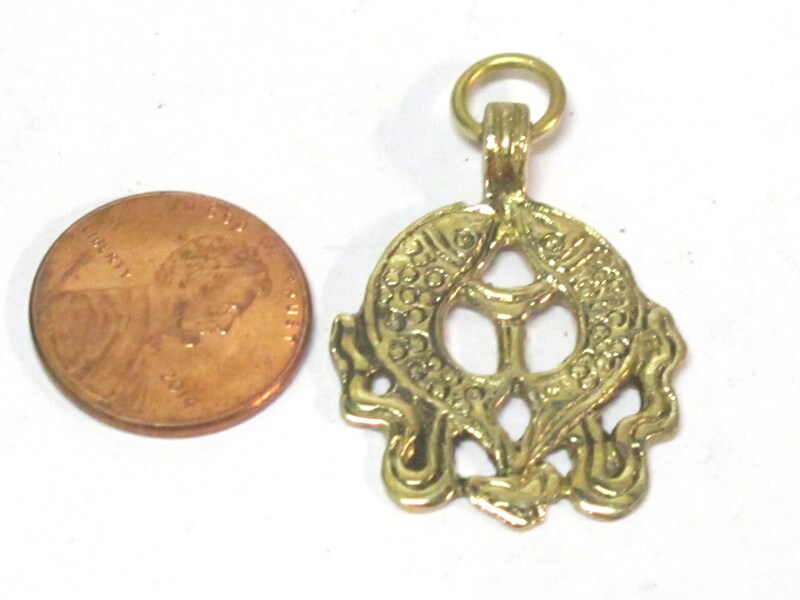 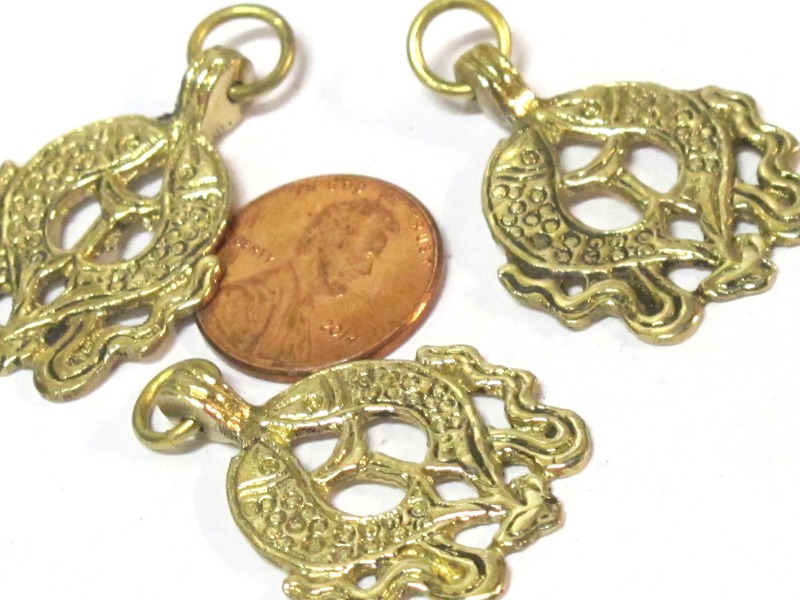 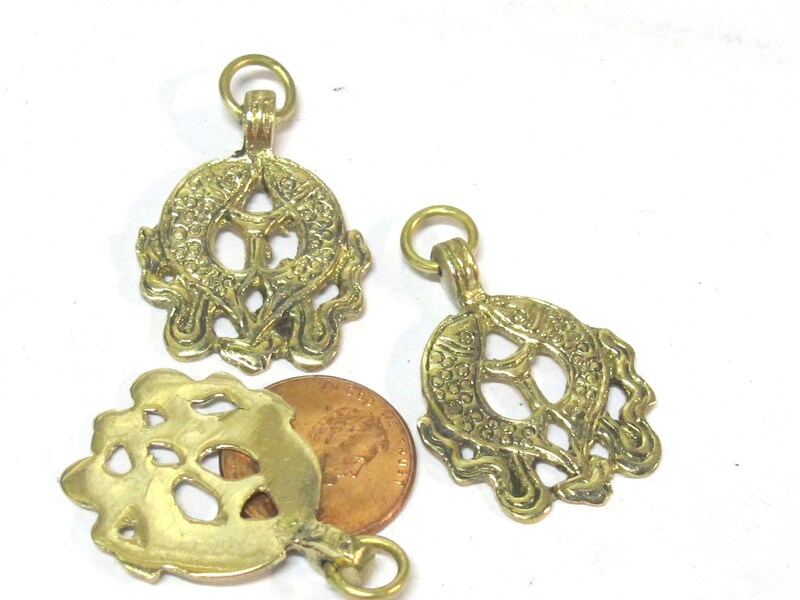 Two Golden fish symbol charm solid brass pendant from Nepal. 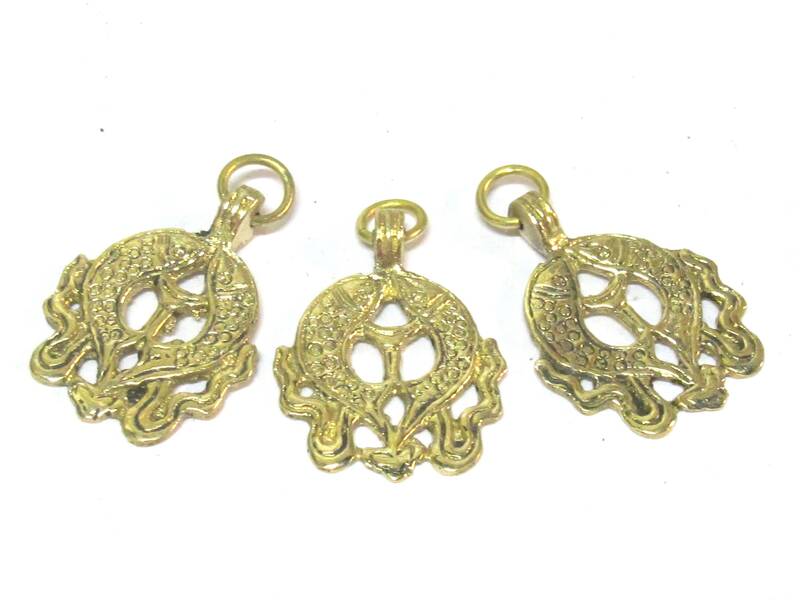 Two Golden fish is one of the eight auspicious symbols in Buddhism . 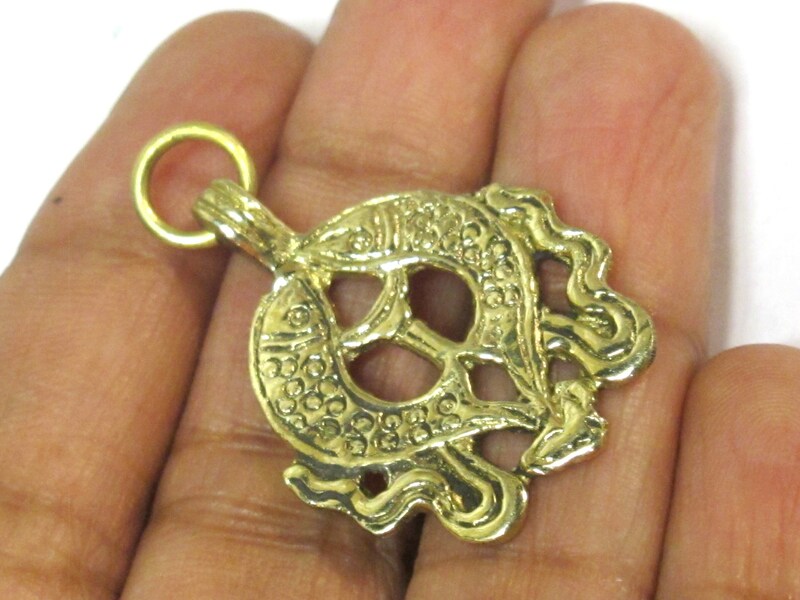 It symbolizes that all beings who follow the path of dharma do not fear to drown in the ocean of suffering , like fish who can freely migrate in water. 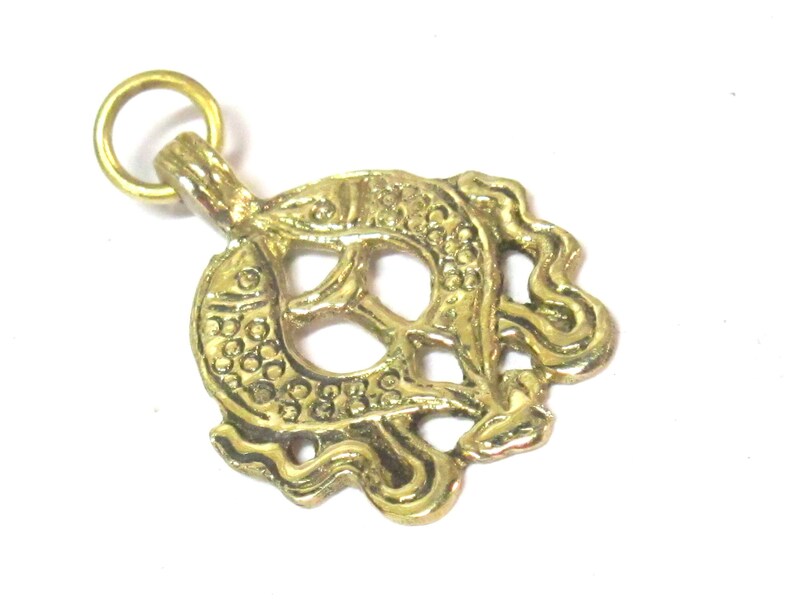 Two fish symbol is also a symbol of good luck and happiness .